This was the agenda for IIMEC11. 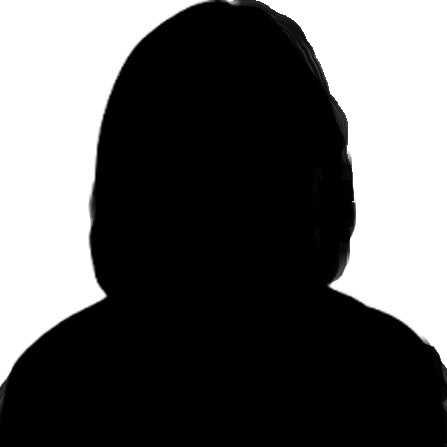 Head of the Outpatient Clinic for Adult Immunodeficiency. Clinical Training in Hematology and Oncology. Research interest in CFS/ME, Immunodeficiency, Cancer Immunology. 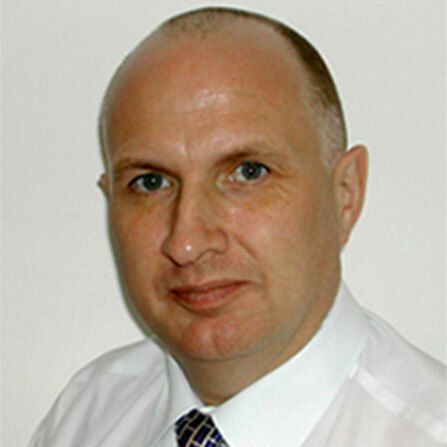 Professor Tom Wileman is Professor of Infection & Immunity at the University of East Anglia, Norfolk, UK. 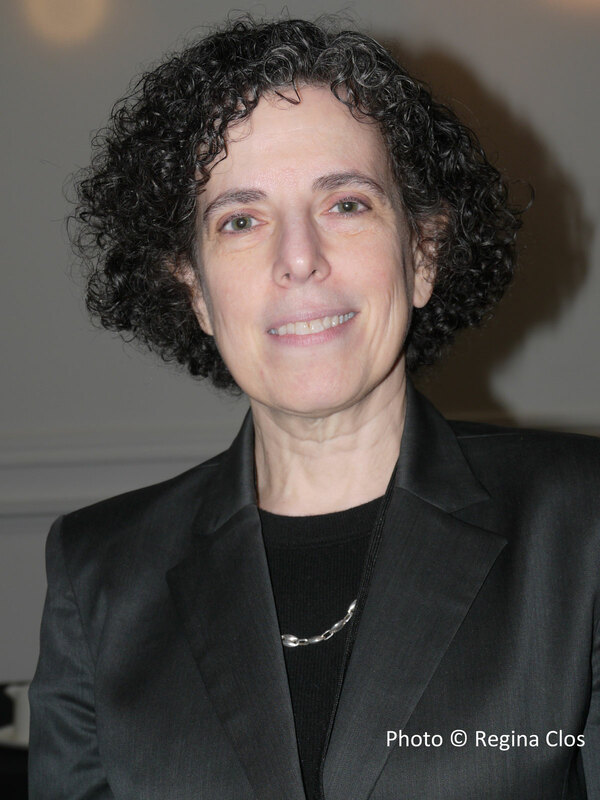 Mady Hornig, MA, MD is a physician-scientist in the Center for Infection and Immunity (CII) at the Columbia University Mailman School of Public Health where she serves as Director of Translational Research and is an associate professor of epidemiology. 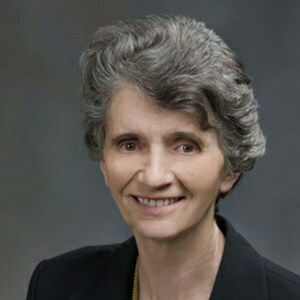 Maureen Hanson is Liberty Hyde Bailey Professor in the Department of Molecular Biology and Genetics at Cornell University in Ithaca, NY. 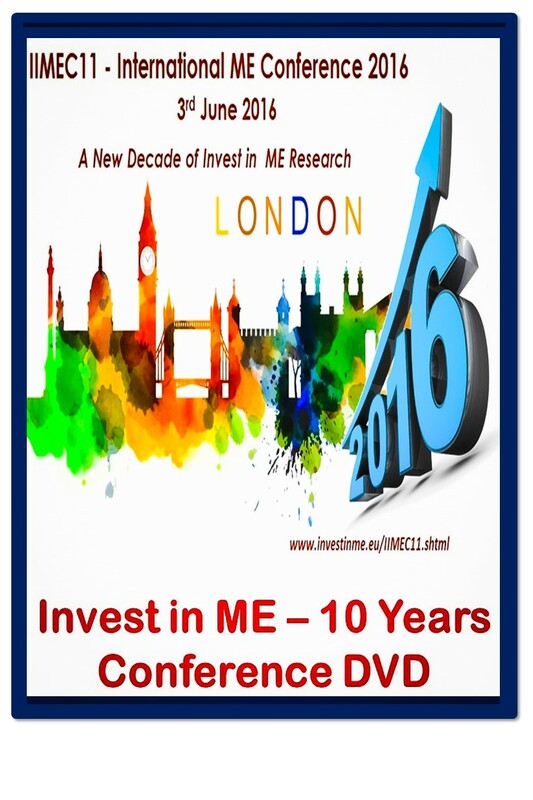 On 3rd June, 2016, I was privileged to attend the 11th Invest in ME – Research International conference in London - the theme being “A New Decade of Invest in ME - Research”. 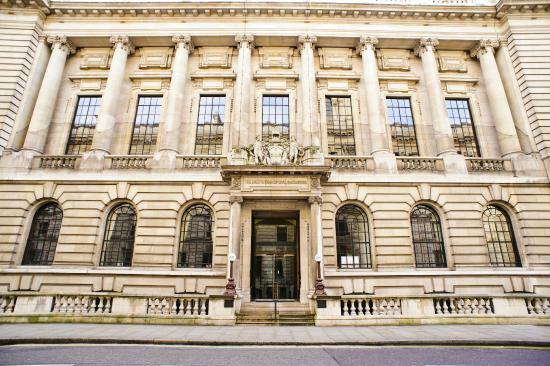 The conference was held at a wonderful venue, at number 1, Great George St, Westminster. This provided space, and being all on one floor, was suited well to those with ME/CFS. And we could look upwards at the magnificent painted ceiling during breaks. The conference was, as always, well attended by those with ME/CFS, carers, advocates, doctors and researchers. 18 countries were represented. The conference was opened by Dr Ian Gibson with a brief overview of 10 years of research, with the comment that research is now forging ahead, and we are entering a new dawn. ME/CFS is a global problem, needing much more funding and education. There needs to be action at the level of the United Nations. In Britain a Centre of Excellence is proposed. The first speaker was Dr Vicky Whittemore, (Programme Director in the National Institute of Neurological Disorders at the NIH, USA). There has been 5 years of research into ME/CFS at the NIH, leading to a new vision for research in the USA. The NIH is one agency made up of 27 institutes and centres. There is intramural research within the NIH campus and extramural research going on elsewhere. 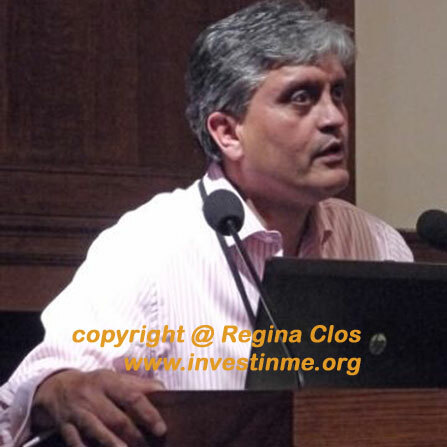 The intramural protocol for ME/CFS research is headed by Dr Avi Nath. They are planning to recruit 40 post-infectious ME/CFS patients (within 5 years of onset). There will be extensive analysis using biospecimens. Additional cohorts are envisaged. A working group was revitalised in 2015, to develop long, intermediate and short term goals, with strategies to support and stimulate ME/CFS research. Aims include: fostering international collaboration, setting research priorities, supplementing grants etc. Research funding has been averaging $5-6 million annually over the past 8 years, and there is much room for growth. The NIH needs information, and needs to know the emerging needs and opportunities. New young researchers are to be encouraged, with patient engagement and support from academic centres. In the long term: research will be expanded, new treatments developed, with support for clinical trials and the aim should be improved quality of life for those with ME/CFS. 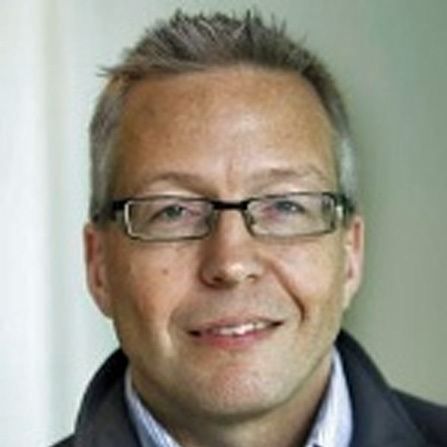 Professor Olli Polo (Tampere, Finland) is a pulmonary medicine specialist working in the area of sleep, apnoea and fatigue. He has seen 500+ ME/CFS patients. His main opening message was how to get GPs to recognise symptoms, take patients seriously and then to refer on. Explanation of the physical signs and symptoms is necessary to make the complex symptomatology of ME/CFS understandable. He explained the IOM report and criteria. He remarked that the various criteria tend to make this a diagnosis of exclusion, but it should be a primary diagnosis, based on symptoms. He discussed the past scepticism and focus on this being a mental health issue – or even a figment of imagination! Doctors do need to see these patients to believe in them. Identification of physical signs should support the symptom array to give diagnostic credibility as there are no biomarkers as yet. All systems are affected. He then went on to discuss the physical signs, illustrated by a number of excellent photographs. Clinical signs are more evident in females than males. He discussed the fact that there are often “opposite” symptom types: lean v obese, hypermobile v stiff, hyponatraemic v hypernatraemic etc. He pointed out that there is a subset with Ehlers Danlos Syndrome, and quoted the work of Dr Peter Rowe, but not all ME/CFS patients have hypermobility. Many of the photographs then shown were related to the hypermobility of joints throughout the body, skin changes, varicosities, elasticity of skin and muscles, fingernail clubbing, difficulty maintaining posture etc. There is often a pre-phase of the disease – often these patients are “Duracell people” who are interested in everything and physically very active. The search for hypermobility should be part of the evaluation The central descending sympathetic tone pathway is abnormal, and vital functions are compromised during sleep. Normal “rescue activation” does not occur. When awake there are then haemodynamic problems – there has been no “rescue” by sleep, and symptoms (including poor brain perfusion) are then evident. Some increase in apnoea may also contribute to symptoms. 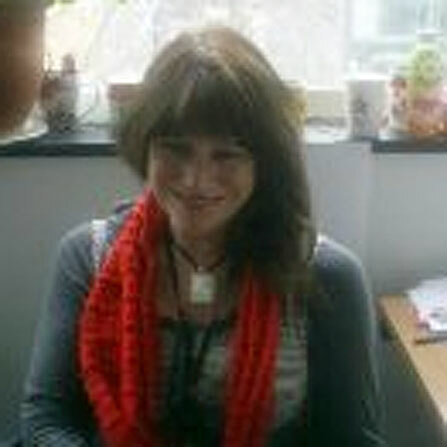 Professor Carmen Scheibenbogen (Berlin, Germany) then spoke on auto-antibodies and acetylcholine receptors in ME/CFS. She explained how autoantibodies directed against neurotransmitter receptors are causing various types of auto-immune diseases. 1/3 of patients in an immunological outpatient clinic were found to possibly have ME/CFS. Immune activation (increased IgG levels, elevated ANA titres and/or T cell activation) was found, leading to likely auto-immunity and disturbance of nervous system regulation. A role of auto-antibodies is ME/CFS is suggested, and treatment with rituximab may help after 3-4 months of treatment. This drug targets the auto-antibodies. Chronic stress can also lead to auto-immune dysfunction. Japanese patients have also been found to have elevation of muscarinic acetylcholine antibodies. They suspect that auto-antibodies can activate immune cells by imitating adrenaline/acetylcholine stimulation. Various ME/CFS symptoms can be explained by overstimulation of the sympathetic/parasympathetic nervous system. She discussed the rituximab trials in Norway – some patients had improved and some had no response. Those patients improving had normalisation of the auto-antibodies, which then tended to stay low. Other treatments discussed included high dose immunoglobulin and immune adsorption. Dr Jo Cambridge (UCL, London) and Fane Mensah (PhD student) discussed B cell biology and rituximab treatment in patients with ME/CFS. Initial brief explanation clarified the brain/gut/immune system connections, relating to the complexity of the interactions between the sympathetic nervous system, cytokines and possible autoantibodies. 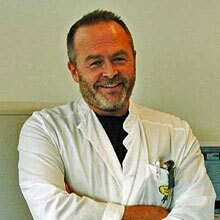 Professor Scheibenbogen described the presence of antibodies are to molecules in the sympathetic nervous system. B cells are produced in the bone marrow, pass into the tissues, recognise antigens, following which they can interact with T cells, develop into plasma cells which then secrete antibodies. B cells are killed by rituximab, which binds the CD20 molecule on B cells. It is used immunotherapeutically in rheumatoid arthritis, lupus and lymphoma, all of which are affected by B cell function. Rituximab does not affect pre-B cells or plasma cells. In the clinic, rituximab (2 x 1 gm) is given intravenously 1-2 weeks apart. B cells are quickly killed in the blood, but decline slowly in the tissues. A blood test is performed at one month to see if the B cells are decreased, but there may be residual memory cells left in the lymphoid organs. B cells start to resume exit from the bone marrow at approximately 6 months. Rituximab works best in autoimmune diseases where auto-antibodies are part of the disease process. It removes the “parent” B cells of the rapidly turning over (short-lived) plasmablasts which make the auto-antibodies, and therefore stops the supply of auto-antibodies to tissues or from making part of pro-inflammatory immune complexes (such as in lupus and rheumatoid arthritis). Because of some positive outcomes in ME/CFS, does this imply that auto-antibodies are part of the disease process? The clinical response to rituximab can take months, and the time varies between diseases and patients. Tests need to be done at baseline, depletion stage, repopulation stage and during relapse. The B cells return once the rituximab is cleared from the bone marrow. Relapse is not always associated with B cell return. In rheumatoid arthritis, 70% respond to rituximab and, B cells are back in approximately 6 months. Some B cells can trigger a relapse when they come back but this is not always the case.. In ME/CFS, rituximab may therefore stop the B cells differentiating into plasma cells, and stops the B cells interacting with other cells (such as T cells). Treatment protocols should thus be fitted to how the B cells are involved, by looking at the changes in the B cells. Interventions should be modelled specifically in the immune system changes in ME/CFS in order to target the patients most likely to respond. 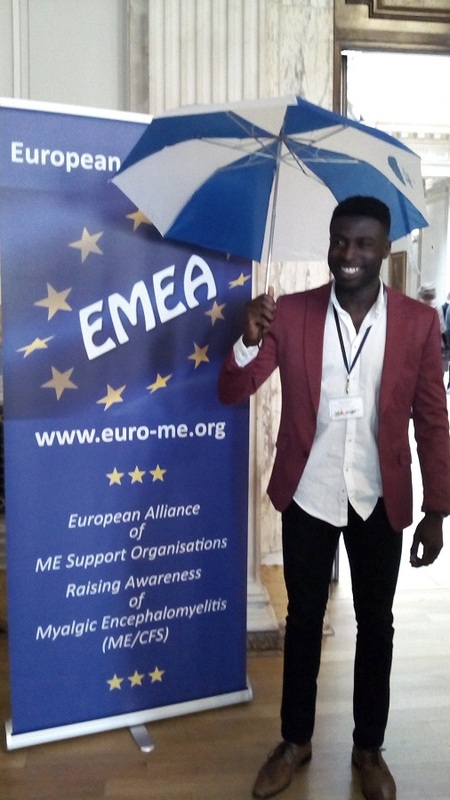 Fane Mensah’s particular research focuses on comparing B cell phenotypes in ME/CFS patients with healthy controls. Differences have been found in the maturation marker CD24. Functional studies have also been initiated on B cells at baseline and on B cells after stimulation and culture for 5 days. He uses “Microtacker” to look at mitochondrial mass (number). There are low mitochondria in naïve compared to memory B cells. He is also investigating T cell interactions with B cells, and is using an in vitro system looking at soluble factors released. There are other anti-B cell drugs, and much more research is needed. A question from the audience asked if there was any legal way of getting rituximab. The answer was “No, we do not yet know enough about the implications”. Fluge and Mella do not want it used, because it is really their responsibility and their advice will be based on the large multi-centre trial underway at the moment in Norway. Doctors are advised not to treat with this drug outside a clinical trial at the moment. 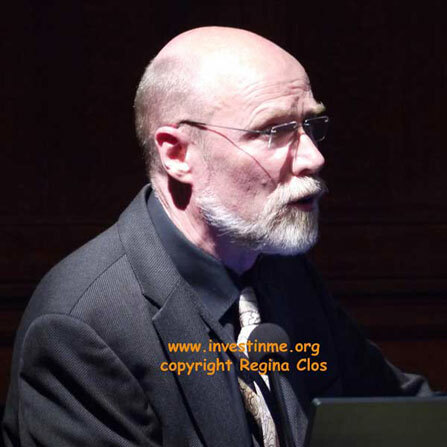 Professor Tom Wileman (East Anglia, UK) then discussed the gut virome in ME/CFS. The gut contains billions of bacteria, and has its own immune system, which ignores our own bacteria, leading to homeostasis. It will attack “bad” bacteria. The immune system and microbiota keep in balance, but an inflammatory threshold may be reached leading to production of cytokines and interferons. This can then affect other organs, leading to disease. Many diseases are implicated. A patient may have a predisposition because of host genes (immunophenotype) The gut also contains viruses, which are an important part of the inflammatory threshold. Some viruses live in or on the bacteria (phages). A number of small and large viruses are involved. They may kill the good as well as bad bacteria. The virome and genotype compromise the immunophenotype leading to an inflammatory threshold. The bacteria may then move into the immune system and upset the inflammatory threshold. The greater the diversity of viruses, the less the diversity of bacteria. The metabolites of bacteria maybe affected thus affecting the immune system. There is a need to find the viruses in the gut. The technique was explained with illustration. 100mg of faeces was placed in water, centrifuged and strained to obtain just the viruses. 16 samples of those with moderate ME/CFS have been studied. 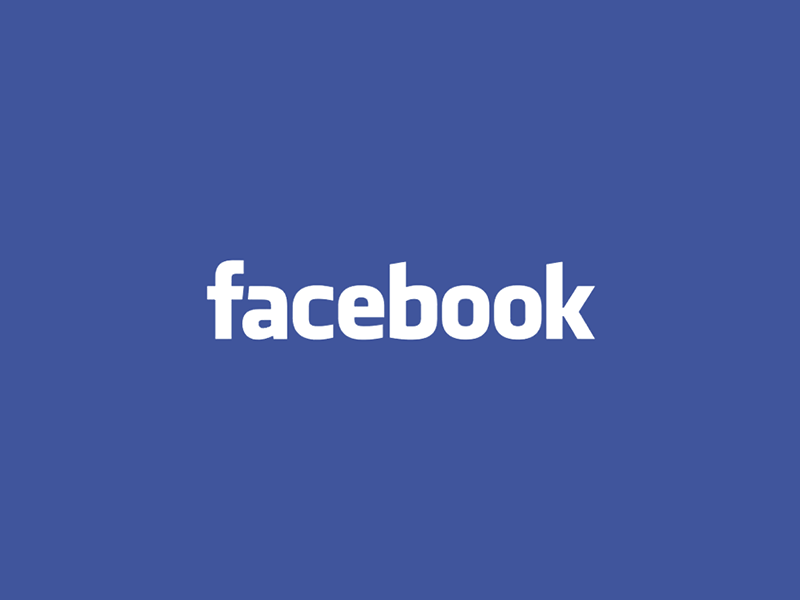 Each sample gives 2 million readouts. Software then sequences the viruses. 23 different families of bacteria were found, each with different phages. The imbalance of phage population may correlate with disease. This has been shown in inflammatory bowel disease. 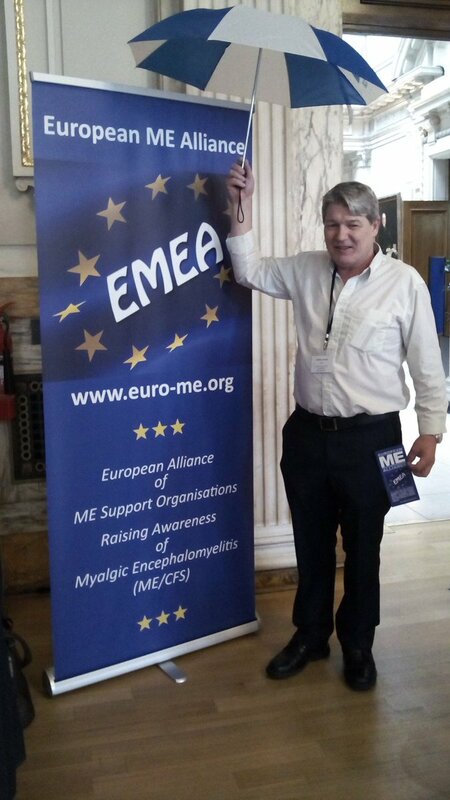 Professor Simon Carding (Norwich Research Park, UK) talked about the work of the European ME Research Group (EMERG). He stressed the need at addressing biomarkers, including brain imaging. Looking for cause, making a diagnosis and standardisation of samples should be included. A “together approach” is needed. Euromene is a group of researchers hoping to establish a network across Europe. Euromene and EMERG will work together. There is a need to look for opportunities for funding. They will build on current activity and feasibility, such as: 1)	Infectious origin a) environment b) microbiome alterations 2) Clinical trials a) Rituximab b) Bacteria based therapy. Coming together is a beginning. Keeping together is progress. Working together is success. (Henry Ford) The Journal of Clinical Medicine has just accepted an article by Navena Navaneetharaja on: The Role of Intestinal Microbiota and Virome in ME/CFS. An audience question asked about role of probiotics: Answer: A cocktail of these is not usually effective. They may be helpful, but there is scant evidence. Detection of metabolites in the blood can help elucidate the effects of the microbiota as they move from the gut → blood →brain. This level of analysis (metabolomics) may help uncover abnormalities of both bacterial as well as host metabolism. We can also gather clues from studies of immune signatures. There is an innate immune response to viral and bacterial challenges, reflected in levels of cytokines and chemokines. Cytokines may enter brain through brain regions unprotected by the blood-brain barrier (BBB); inflammatory cytokines may also increase access of blood-borne substances to brain by helping to break down the integrity of the BBB. Cytokines entering brain may alter sympathetic activity and contribute to derangement of the autonomic nervous system, including abnormal orthostatic changes in pulse (e.g., POTS). Work underway was then discussed. Their team uses a staged strategy for pathogen disarray in immune-mediated brain disorders. They have looked at DNA and RNA viral agents using multiplexed molecular assays, and are now revisiting whether infectious agents are present in peripheral blood mononuclear cells using a new and sensitive technique developed by Columbia's Center for Infection and Immunity, known as VirCapSeq-VERT. They are also planning to map the host response to exercise challenge – a study using a specialized approach that looks at how blood cells respond to common pathogen-related stimuli that mimic infection with or exposure to viruses and bacteria (TruCulture blood collection system). They are looking at the balance of gut microbiota, too. Autoimmunity is modulated by intestinal microbes, so autoimmune responses may relate to the composition of the microflora in the gut. There is a mechanism described for a role for altered microbiota in the development of certain autoimmunity-associated eating and anorexic disorders, too. There are distinct plasma immune signatures for ME/CFS present early in the course of the illness that differ from patterns observed in the later stages of the illness. These phase-dependent immune patterns may have implications for how the disorder is treated of the course of illness. They are also looking at the cytokine network analysis of the cerebrospinal fluid in ME/CFS. Finally, they are trying to tie all this back to the microbiota. Regulation of the processes is critical - keeping things well balanced. Some inflammation is necessary to protect against infectious illnesses, and also may be important in promoting key physiologic processes that affect energy production through the TCA cycle as well as brain processes (memory, cognition); however, inflammation that is uncontrolled over time, persisting long after its initial trigger, has deleterious effects. There is much progress in our ongoing discovery of these mechanisms. A quote about Einstein probably sums up the progress: Complaint from student: “The questions in this year's exam are the same as last year's! !” Einstein’s reply, “Yes, but this year all the answers are different.” The continuing burden of illness in ME/CFS demands that we recognize that new and more sensitive techniques must continuously be applied to be sure that we have not drawn premature and potentially incorrect assumptions about the pathogenesis of the illness. 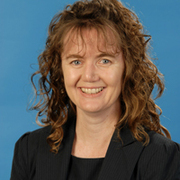 Professor Maureen Hanson (New York, USA) leads a large team looking at biomarkers for ME/CFS. She asked the question as to why we need a biomarker. She provided 4 answers: 1. The need for a diagnostic test to distinguish ME/CFS from other illnesses 2. The need for objective measures for the effect of interventions and drug therapies 3. Selection of participants for research 4. Information that can be used to identify underlying causes of ME/CFS and its major symptoms. Potential biomarkers include: 1. Altered NK cell activity 2. 2-day cardio-pulmonary exercise tests 3. Abnormal brain imaging 4. New biomarkers which need replication. She then discussed the human microbiota – telling us that there are as many microbiota cells (mainly in the intestine) as human cells. They provide protection against pathogens. She cited an important issue of Science (April 2016) – “Microbiota at Work”. Gut microbiota abnormalities are associated with disease ( eg diabetes, Crohn’s disease). The question is “Is this a cause or a consequence?” Associated factors include diet, health status, genotype, age etc. Gastrointestinal symptoms are common in ME/CFS. Her lab’s study of 38 female (30 controls) and 11 males (9 controls) was described. 32/47 patients suffered intestinal discomfort compared to 8/39 controls. Some bacteria have lipopolysaccharides on the surface and these can be a marker of inflammation when in the bloodstream. They are significantly elevated in ME/CFS compared to healthy controls. sCD14 levels are also higher in ME/CFS. These findings indicate damage to the gut. They have also performed DNA sequencing of microbiomes. This can reveal the family and sometimes the genus. Operational taxonomic units are used to cluster the DNA sequences. A technique called Principal Component Analysis can be used to separate animals with different types of diets. However this did not separate patients and controls, so other methods are needed. Bacterial diversity was looked at – the more sequencing, the more species are discovered. Controls show more diversity than patients. Do probiotics help? Again the answer was that she did not know, and this needs further investigation. She also looked at a computational method to identify ME/CFS from the blood and microbiome data. 83% of subjects, ill vs healthy, were correctly identified in this way. The limitations of these studies are: 1. That the data are inadequate to identify particular strains of bacteria 2. They do not reveal what beneficial pathogens are present 3. No indication of whether viruses are present None of these findings can be explained by psychological theories! 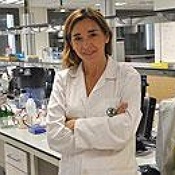 Professor Elisa Oltra (Valencia, Spain) presented work on molecular biomarkers of ME/CFS. She said that biomarkers are needed for accurate diagnosis, and are essential tools for the development of effective treatments and preventive programs. She has chosen to work with microRNAs, which are stable molecules present in blood and other body fluids that can be easily implemented for monitoring disease in a clinical setting and yet have been quite unexplored for the diagnosis of ME/CFS. Their association with disease relies in their function as regulators of gene expression by controlling target translation and/or degradation. A microRNA signature has been identified for the potential molecular diagnosis of fibromyalgia (FM). Genome-wide expression profiling of microRNA was assessed on PBMCs of 11 FM patients and 10 controls. All patients were diagnosed with chronic fatigue using the Multi-dimensional Fatigue Inventory (MFI). Results were displayed on a gene expression omnibus and published on the PLOS One journal. There was an inhibitory tendency in the patient group, but no significantly up-regulated microRNAs were found. 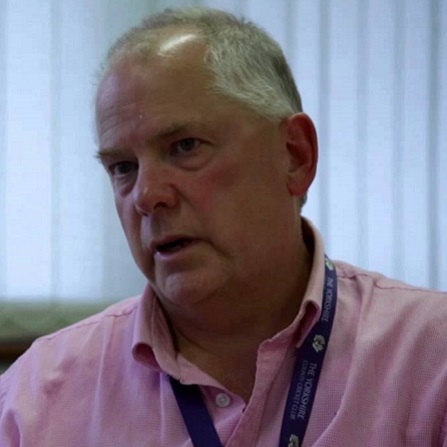 Professor James Baraniuk (Washington USA) – went through the various definitions and criteria for making a diagnosis of ME/CFS. Early description and criteria for a diagnosis of “Fibrositis” (1843) closely matches our ME/CFS definition today. In the 1990s the FM definition was stripped down to include 11/18 tender points, when the examiner’s thumbnail blanches with a pressure of 4kg, and the result is positive if pain is felt. In 2010 this was thought to be a very difficult assessment and could be linked to catastrophising. He then discussed the scale for “Catastrophising”. When this assessment scale was used in ME/CFS, GWI and FM, results were positive with GWI being the highest. Further discussion of the previous ME/CFS diagnostic criteria followed, including the acute onset encephalomyelitis (Royal Free epidemic), !994 Fukuda definition (CDC viral epidemiology analysis), 2002 Carruthers definition (emphasising post exertional malaise and autonomic dysfunction) and the 2015 IOM report renaming the condition Systemic Exercise Intolerance Disorder (SEID). Returning to the pressure point analysis, dolorimetry is now being used, but false positives can occur. The analysis is more likely to be positive in FM. But this form of analysis is less useful for men. Women tend to be “more tender” . He described the 2-day exertional exhaustion testing being used. This involves pre-test blood analysis and MRI, then the exercise on day 1, followed by further blood test. On day 2, exercise test was followed by MRI and lumbar puncture. Results from day 1 showed good muscle function, on day 2 there was bad muscle function. He described testing for exercise induced POTS. The patient lies down for 5 minutes, then stands. 25% had tachycardia. One patient studied had severe hypotension, but this was reversed by drinking gatorade (electrolyte drink). It is probable that exercise dysregulates the autonomic nervous system causing these symptoms. Professor Ron Davis (California, USA) – discussed the Big Data Approach. He was on the IOM panel and mentioned also that he has a son with ME/CFS. His team is looking widely for biomarkers. They are focussing on the severely ill, as these patients may have larger molecular signatures. Then those results could be applied to the less severely ill. He has already started a Severely Ill Patients Big Data Study looking at 20 severely ill patients (and 10 controls). Assessments are being made with blood, urine, saliva and stool at a cost per patient of $70,000. They have done a wide range of tests including 10 tests on sequencing and metabolomics and 7 immunology tests. He has the expertise and is developing new “devices” for molecular diagnostics. They are particularly keen to do more with metabolomics and services have been donated by “Metabolon”. The initial pilot data included 3 patients compared to 43 healthy controls (precision medicine) and this was done on serum. 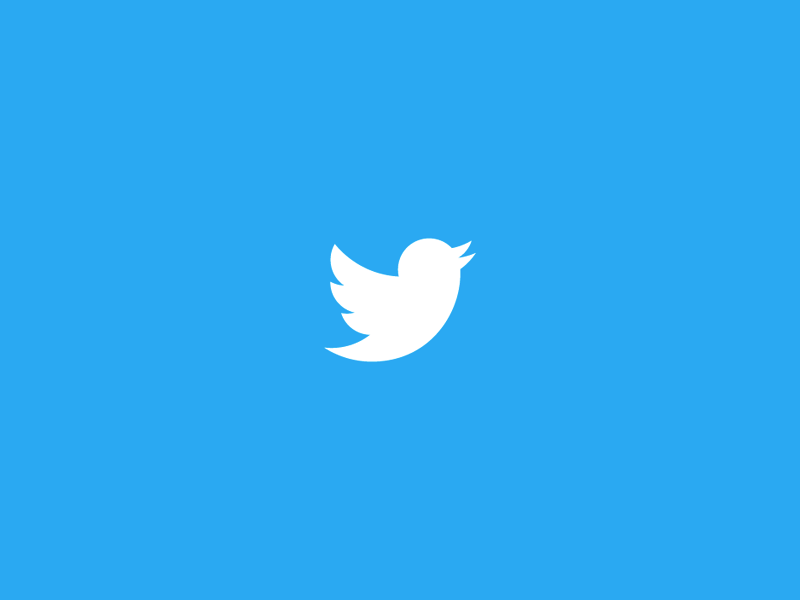 This led to a massive amount of data. A lot of very big differences were found between ME/CFS patients and healthy controls. He provided a list of the 24 largest metabolite outliers. For example, Tryptophan deficiency was present in one patient. This occurs because tryptophan is consumed during infection and affects melatonin production. Melatonin controls sleep onset. Other examples discussed were biotin and BH4. He concluded by saying that it is common in research that responses are not always the same for mice and humans, and often mice are used in drug development. For example, 150 drugs were shown to be effective in treating trauma in mice, but none of them worked in humans. We need to be really careful about requiring the use of mice for validating a drug. 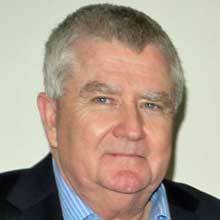 Dr Ian Gibson wound up the conference with reference to the latest findings as discussed through the day. He took more questions and discussion points from the floor. He thanked the many talented speakers. The conclusion was that much exciting research is now forthcoming and there has been a tremendous advance over even the past year, with much hope on the horizon. I must thank Invest in ME - Research and ANZMEs for making it possible for me to attend this very exciting day. 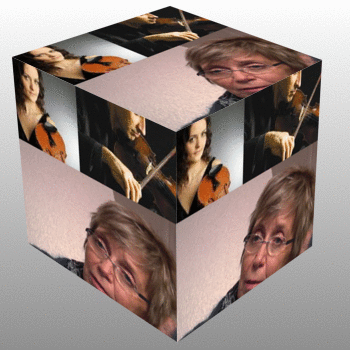 The DVD contains 4 discs and is in PAL format- and contains the full presentations from the 2016 conference plus plenary sessions, and the pre-conference dinner keynote speech by Kjersti Krisner and music from Emanuela Buta and Carmine Lauri. Invest in ME organised and hosted the Biomedical Research into ME Colloquium number 6 in June 2016. This Colloqiuim was also opened by Dr Vicky Whittemore from NIH. The collaborative atmosphere and planned cooperation resulting from the Colloquium will help further progress research and ultimately help patients. Invest in ME wish to thank the following organisations for helping to sponsor the 11th Invest in ME Research International ME Conference 2016. Invest in ME are very proud to announce that EMEA Ireland member IMET (Irish ME Trust) has again agreed to sponsor a speaker at the annual IIMEC* conference - IIMEC11 03 3rd June 2016. This is the eleventh year that IMET have supported IiMER in this way. IiMER chairman Kathleen McCall writes - "We would like to express our thanks to IMET for again helping IiMER in this way. The support given by IMET over all of the years that IIMER have been performing these conferences has enabled IIMER to continue to organise a platform of international biomedical research into ME which demonstrates to researchers, healthcare staff, the media and politicians that real progress in discovering the cause(s) of ME can be made with the proper direction being given, and appropriate funding. Thank you IMET - from all at IiMER and all our supporters - for all that you have done to help pwme"
Invest in ME are very proud to announce that EMEA Norway member Norges ME Forening has agreed to support IiMER with a donation to the IIMEC11 conference. "This is another wonderful gesture by Norges ME Forening. Invest in ME have always been impressed by the continuous efforts that NMEF have made in improving the lives of people with ME and their families. The results of their work - in improving education about ME, in fighting for patients' rights, in countering false information and flawed research about ME - has been an inspiration for many. NMEF is at the centre of European collaboration and IiMER can always look to good advice and information from our Norwegian colleagues. The charity had extended an invitation to the Norwegian Prime Minister Erna Solberg and that invitation remains open. Again this year IiMER looks forward to welcoming many Norwegian friends, patients and carers to IIMEC11 conference. We are always delighted to have so many good friends in Norway. 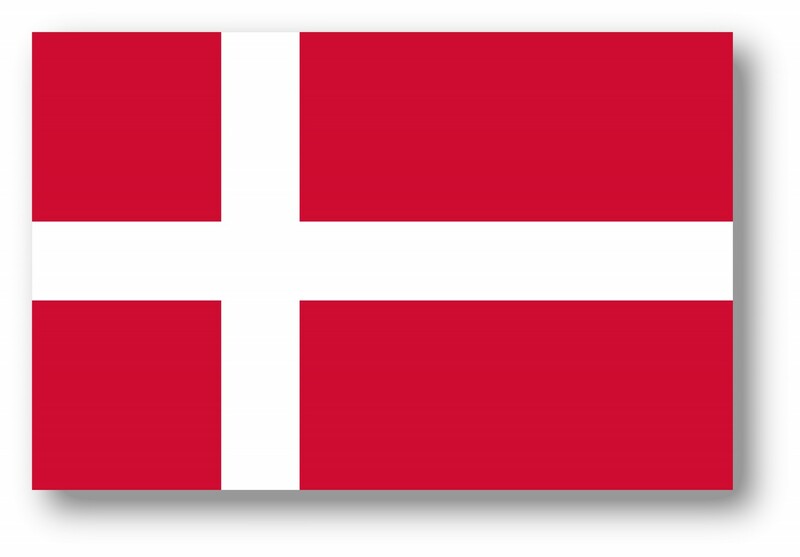 Thank you Norges ME Forening - from all at IiMER and from all our supporters - for all that you have continue to do to help pwme"
Invest in ME are very proud to announce that EMEA Denmark member Danmarks ME Foreningen is to support IiMER by sponsoring two Danish researchers to the conference events. "ME Foreningen is the latest member to join the European ME Alliance and has already had valuable input to EMEA discussions. Both Rebecca and Cathrine have been very good colleagues in describing the issues with ME in Denmark and collaborating on various projects. 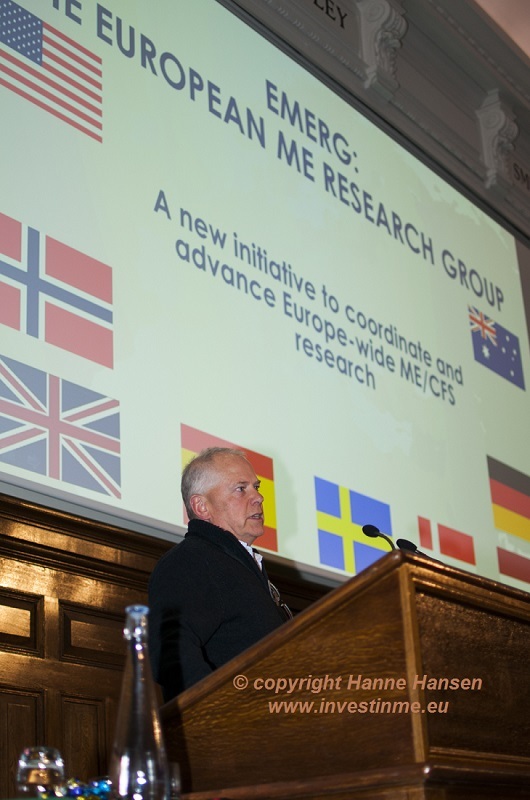 By supporting the development of the European ME Research Group (EMERG) and helping IIMER in arranging the attendance of Danish researchers to all events in London we are thus able to demonstrate the positive future that European research has to make to the international research scene for ME. We would like to express our great appreciation to DMEF for working with IiMER and supporting us." Invest in ME are very proud to announce that EMEA Sweden member Riksföreningen för ME-patienter (RME) has made a kind donation to IiMER to help with the conference costs. "With RME supporting us in this way it not only helps Invest in ME Research with the costs but also underlines the continuing cooperation with RME as we jointly, within the European ME Alliance, develop a strategy of collaborative biomedical research into ME. We had RME sitting with us at our BRMEC5 Colloquium last year and again this year RME join us as we develop further plans. 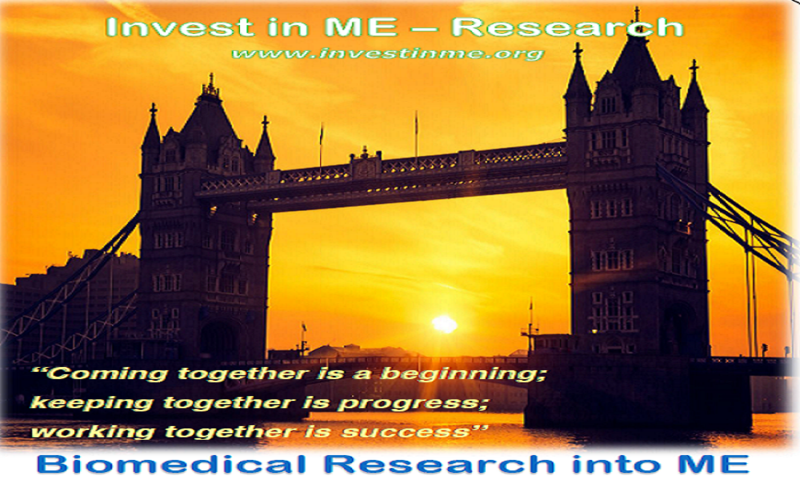 RME will again be organising a conference in Stockholm in the autumn and we are very happy that Dr Jo Cambridge will be attending to discuss the research that Invest in ME is funding. 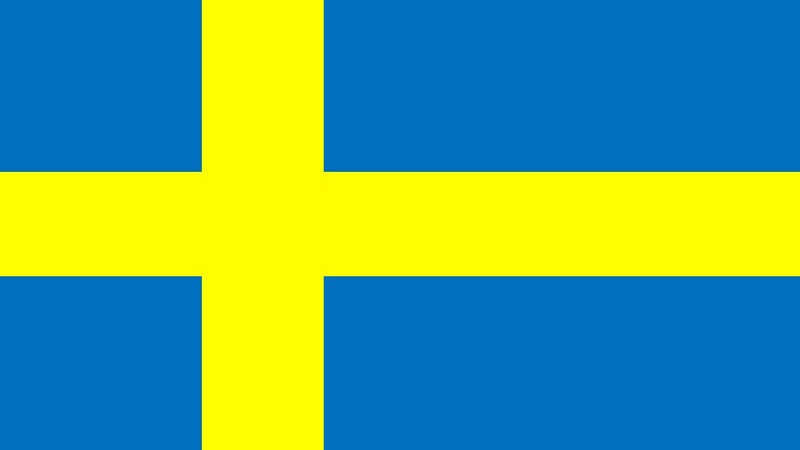 At the BRMEC6 Colloquium and IIMEC11 Conference in London we will also have a good representation of Swedish researchers and Swedish patients representatives. This also bolsters the ongoing development of the European ME Research Group (EMERG) which develops European research into ME. We would like to express our great thanks to RME for working with IiMER and supporting us." Invest in ME are very pleased to announce that Hope 4 ME & Fibro Northern Irelan wil make a donation to aid speakers' travel costs for the IIMEC11 conference. We would like to express our great thanks to Hope 4 ME & Fibro Northern Ireland for working with IiMER and supporting us."